Ann R. Boltz, age 95, a longtime resident of Aurora, IL, passed away peacefully on February 7, 2019 at Alden of Waterford in Aurora. She was born on January 3, 1924 in Chicago, IL. Visitation will be Saturday, February 16, 10:00 AM until the time of funeral services at 12:30 PM at the Friedrich-Jones Funeral Home & Cremation Services, 44 S. Mill St., Naperville. Interment will follow at St. Joseph Cemetery, River Grove, IL. 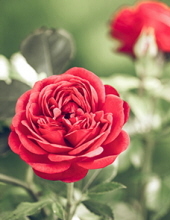 To send flowers or a remembrance gift to the family of Ann R. Boltz, please visit our Tribute Store. "Email Address" would like to share the life celebration of Ann R. Boltz. Click on the "link" to go to share a favorite memory or leave a condolence message for the family.